Greetings, fellow Kappnists! * I like to say “Every pipe has a story,” some of it to be read in the pipe as physical object, some of it in the pipe’s origin and maker, some in the companionship it offers me in my own pilgrimage, and some yet unwritten. 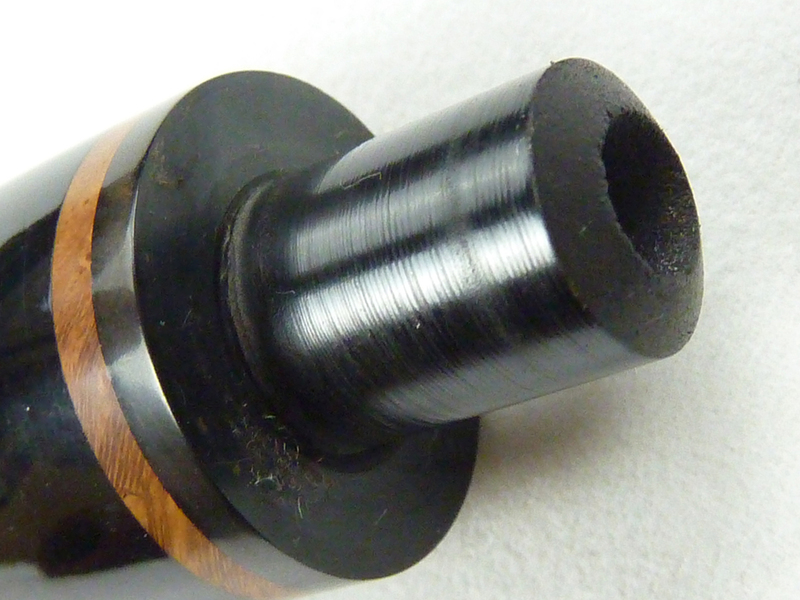 An estate pipe always come with a fair amount of mystery: what is its provenance? who companioned it? why did they part company? were they close friends, or mere acquaintances, or even hostile toward one another? Idle speculations, but I can’t help but wonder. One of my ambitions after quitting my day job is to write a novel about the adventures of a single pipe, similar to the conceit of the classic Tales of Manhattan (1942), which follows a formal tailcoat from one wearer to another (including Henry Fonda and Charles Boyer), affecting each in some way. 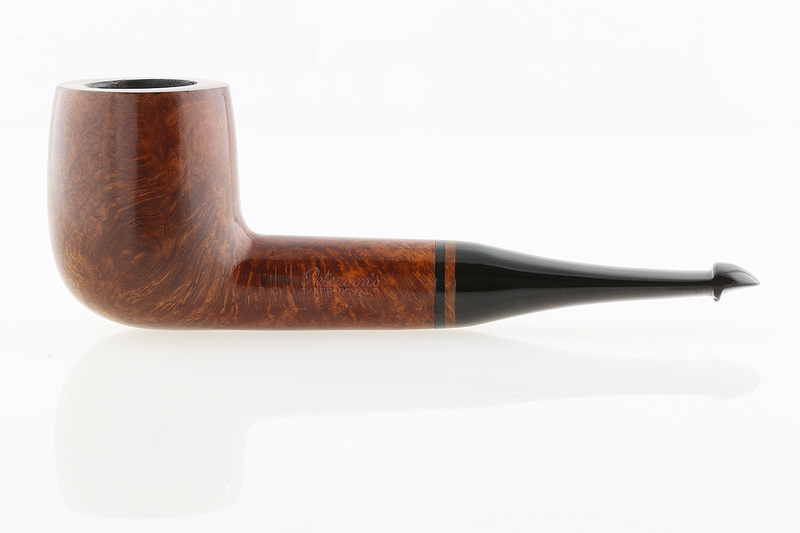 When I saw this Kapp-Royal 107 in December, I knew it was unusual: the fine grain, the briar-insert ring, and its point-of-sale—northern Italy. I’m a fan of the 107, Peterson’s stoutest billiard, as you may already know, especially when it’s got a P-Lip. It appeared to be an early Kapp-Royal in the Peterson-Mario Lubinski collaboration, which began back in the mid-1970s and continues to this day. Over the years, Mario has taken up a handful of Peterson line names that were no longer being used, several from the old Peterson – Iwan Reis collaborations of the 1960s and 70s. 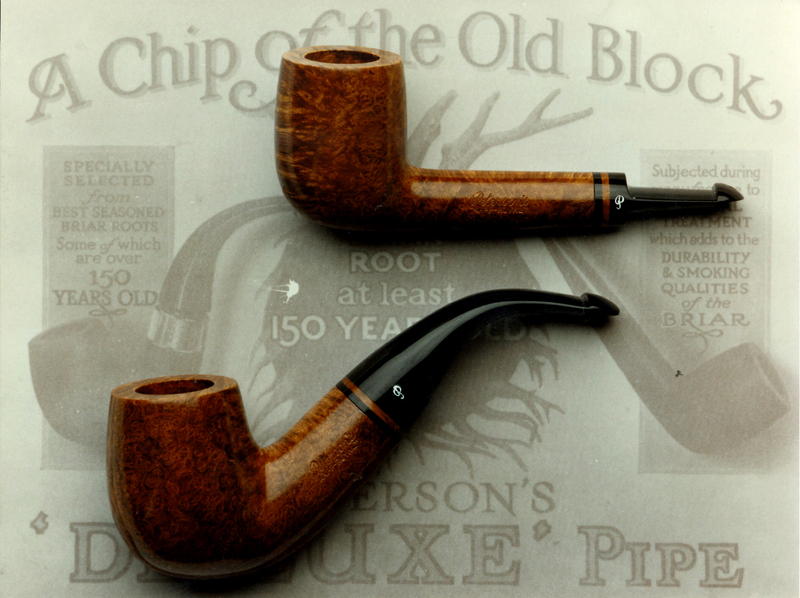 None is quite as fortuitous as the Kapp-Royal name, because Mario has always simultaneously been interested in Peterson’s early “Kapps” history and in offering some of the finest pipes Peterson make. 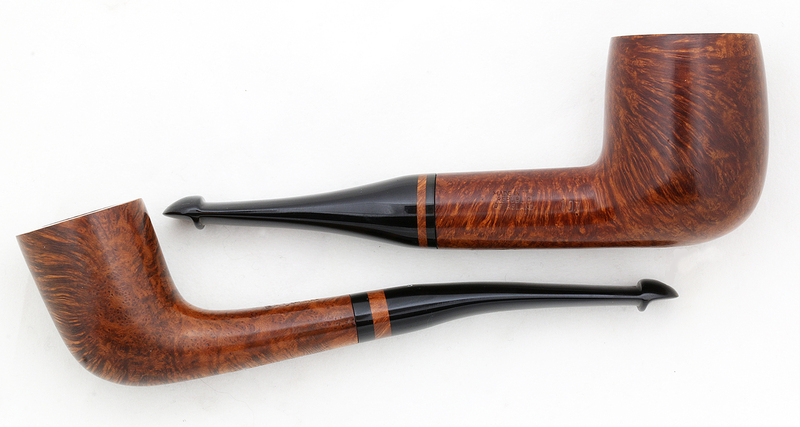 The 107 would appear to have been made at about the same time as the higher-grade Galway line iteration from 1983, which likewise featured the very unusual briar-insert ring in the ebonite P-Lip mouthpiece, albeit a bit wider. The finish seemed close from the internet photos, and may even have been identical. I’ve only seen a few examples of the Galway in person, but as you can see from the 268 Zulu below, it was a lovely line, created during a very dark period in Peterson’s history. What makes this 107 even more appealing to me is that it was originally companioned by Jean Marie Alberto Paronelli (1914 – 2004), surely one of the most fascinating figures in the history of pipe-making, as well as one of the least known here in the US. According to his grandson, pipe maker Ariberto Paronelli, J. M. Alberto Paronelli not only knew Mario Lubinski, but was (like Lubinski) a pipe distributor for about thirty different brands from around 1960 to 1990, with two offices in Milan, and was the first Italian importer of Dunhill. the paper-slip inventory inside the chamber. I wonder. Early in his career, Jean Marie Alberto worked for the fabled Rossi pipe factory, but in 1945 at the factory’s closing (if I have this detail correct), he set out on his own. He was a polymath, writing verse, sculpting, painting, creating pipes, running an artisanal pipe company and working as a pipe distributor for Italy. He was involved with the creation of the Académie Internationale de la Pipe, which seems to have held its first meetings in his Gavirate home, and still publishes the (somewhat stuffy) Journal of the society, now based out of England. I suspect there may be Something Significant in the Irish company filling out a line with twelve shapes, but while I have read quite a bit in Celtic mysticism, I have only a slight understanding of the Hermetic Tradition as found in the Christian, Jewish, and Islamic faiths. Ariberto told me the 107 chubby billiard came from his grandfather’s personal collection, and he had cleaned up the outside so well that I thought from the internet photos it really was almost new. 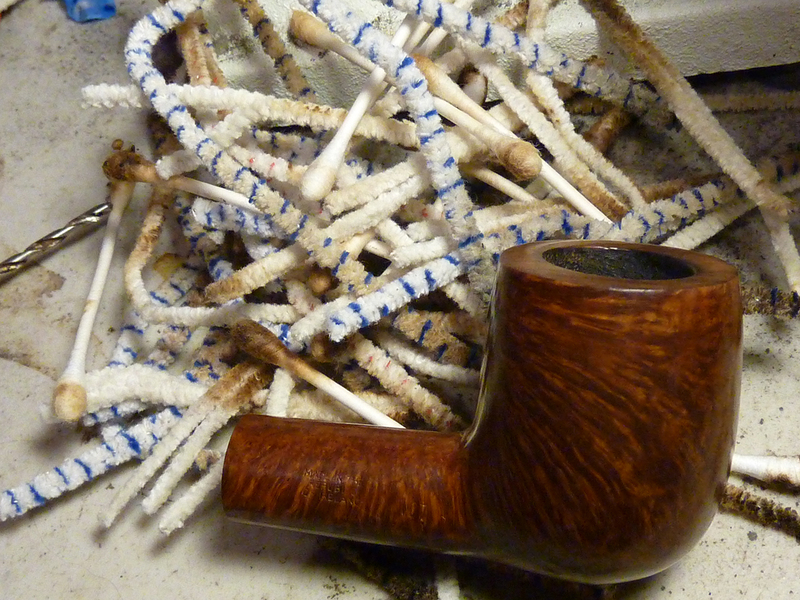 It turned out that it needed a bit of internal cleaning, but that was all right, because it told me that Jean Marie had obviously enjoyed the pipe on many occasions and it must have been a good smoker for him. 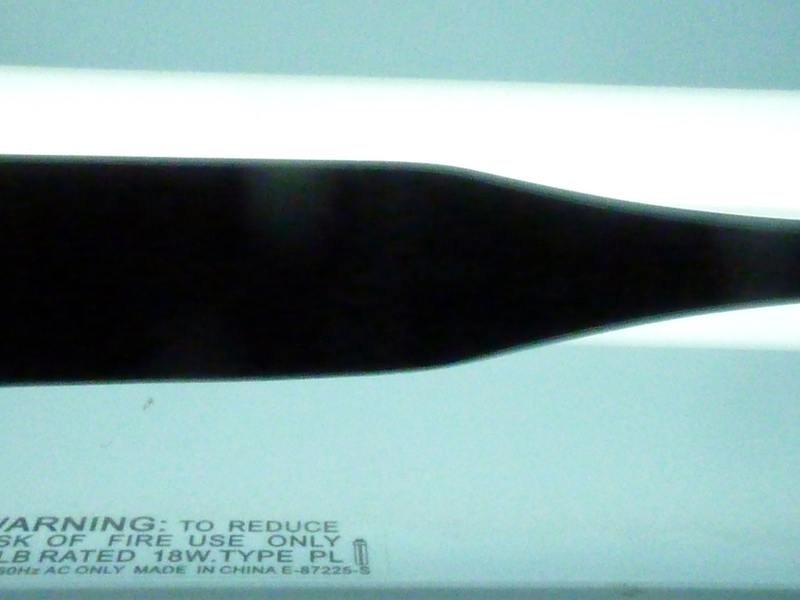 Ariberto also buffed off the white enamel P on the mouthpiece, as you can see from the shape chart above. I started by reaming the bowl. The carbon-cake was obviously quite old with little odor and came out easily, leaving a clean, unscarred chamber. Then I thought I’d run a few alcohol-soaked bristle cleaners through the air passage to see what the plumbing was like, and there I got a surprise. This pipe had been smoked and smoked and smoked! After I had cleaned it up, I was dismayed to find the stem and shank faces didn’t meet up. 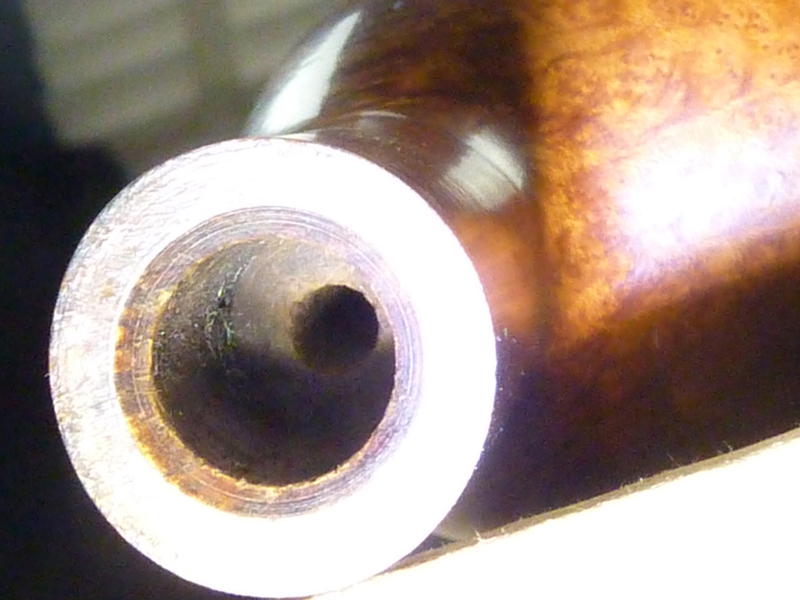 You can see this, actually, in the first photo of the pipe at the top of the page–I just hadn’t noticed it until this point in the reconditioning. Double-check the mortise to make sure you’ve gotten all the muck out. A bit of something blocking the tenon from seating completely is usually the culprit. 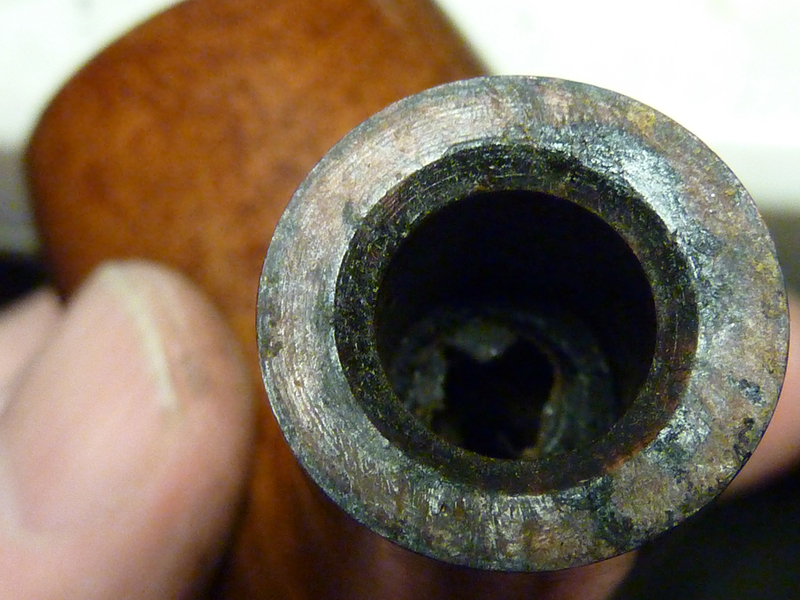 One other explanation may be that the pipe has sat unused for some time and the briar has dried out and shrunk slightly. An easy way to test this theory is to smoke the pipe a few times and see if the gap closes. Another option, if you think the tenon is hitting the end of the mortise before the stem face seats properly, is to sand the end of the tenon slightly to remove the gap. I was able to do enough measuring and fiddling to figure out #3 wasn’t the culprit (and you can see this for yourself in the top mortise photo, where the tars have built a wall), but as I wasn’t ready to smoke the pipe, thought I’d try #1, even though the chamber appeared from the photographs to be clear. 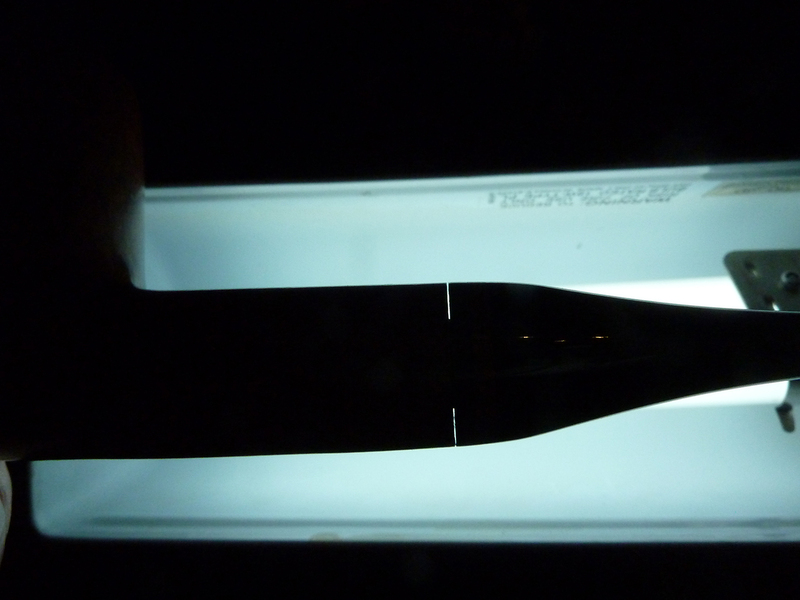 I used Q-tips and isopropyl, getting back into the corners.It turned out the mortise wasn’t as clear of debris as the camera had led me to believe, and the extra cleaning did the trick, as I can no longer capture any light when looking at it over the Ott-light. I’m looking forward to a first smoke with some Mac Baren Mixture Flake tonight, which I usually use when breaking in older estates, as it burns at a lower temperature than virginias and va/pers and is less likely to instigate a burn-out—something I’ve learned the hard way. **I’m not thinking of big, standard lines like the Aran or Donegal Rocky or other Classic Range lines that draw on nearly the entire shape catalog, but “special” lines like the St. Patrick’s Day and Christmas commemoratives and yearly lines like the recent Waterford or Valencia. It happens frequently enough to warrant mentioning, in any event. 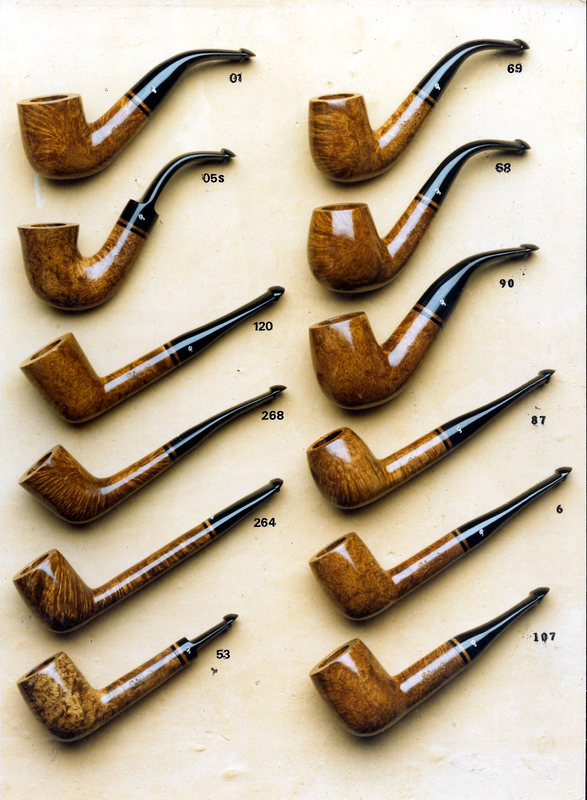 Pictured at Top: Shape 53 lovat and the beloved 90 (aka 9, XL90, 307, 9BC etc.) at bottom, from a period Lubinski sales catalog. If anyone has a copy of the “Chip of the Old Block” poster which Mario Lubinski used as background, please drop me a line. It was available during the 1970s and 80s and I think circulated among collectors a bit, but neither I nor Peterson has a copy, and there’s still time to stick it in the book somewhere! The original appeared in the 1920s, shortly after the System patent expired. I love the Kapp-Royal line!!! And Ariberto is a good man, a personal friend (like Mario, of course)! I hope after retirement my wife and I can come to Italy. I have a lot of places and people (like you) I’d like to meet! 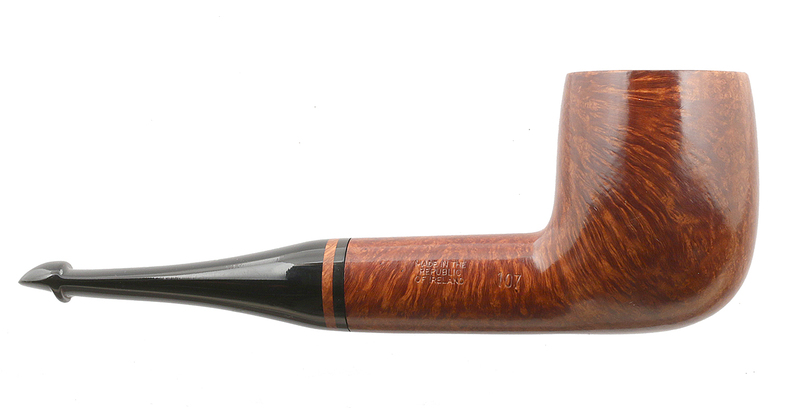 I got one of these Kapp Royal 107 bought in the nineties in the Dublin shop and its still unsmoked. 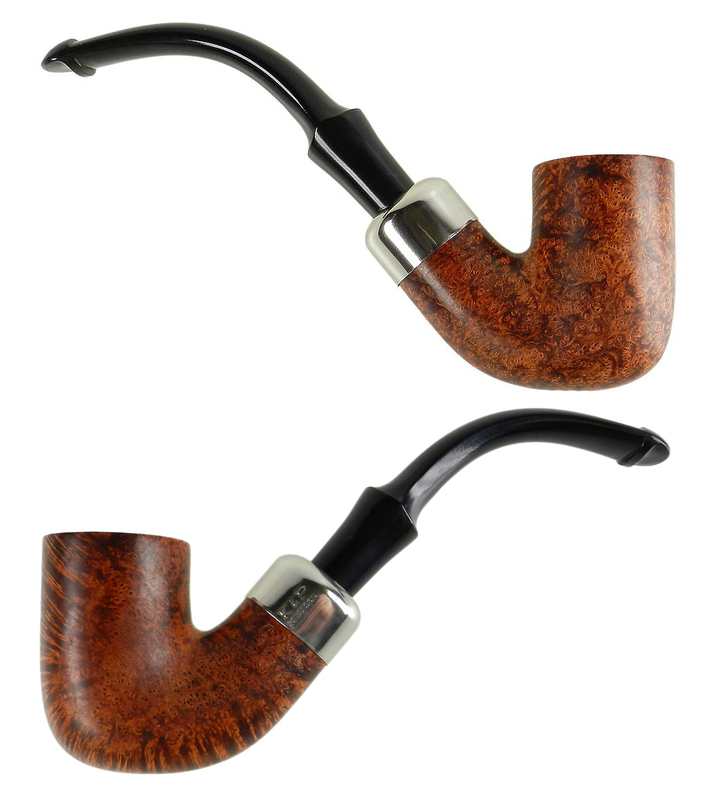 I also have 3 of those Galways bought on a sale here in Copenhagen about 10-15 years ago.I started smoking the 999 and the 338 in january this year.Fine pipes – the 03 is still unsmoked. with bowls that were collected for Italy. Thanks for that anecdote, Jorgen! And I am beginning to be envious of your Peterson collection. LOL. It sounds fabulous. Possiedo due Royal-Kapp, n°68 e 268. Meravigliose. Fumabilissime e splendide alla vista. Il 68 è una delle mie forme preferite! Deve sembrare bellissimo con l’anello con inserto in radica.